Education Projectors. 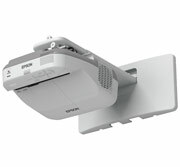 A new era in collaborative learning, Epson interactive projectors are the perfect ultra-short-throw projector for today’s BYOD classroom. 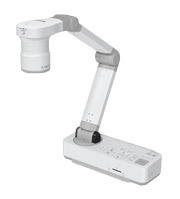 With brilliant widescreen resolution, plus advanced network connectivity and wireless performance, these projectors make it easy to share larger-than-life lessons and control the projector remotely. Large Venue – Installation Projectors. The flexibility and features of Epson’s 4000 Series, G-Series and Z-Series projectors overcome virtually any installation challenge. Exceptionally brilliant video and images for large conference rooms and venues. Home Theatre Projectors. Epson’s award winning range of home theatre projectors bring true to life high definition 1080p big screen entertainment experience to your living room. 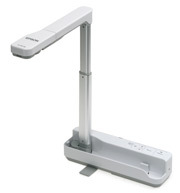 Interactive Business Projectors. Epson’s MeetingMate interactive projectors provide the complete solution for any meeting room and is the perfect alternative to copyboards, conventional whiteboards and more – in one simple device. MeetingMate facilitates productive meetings and enhances collaboration – with PC free whiteboard, dual pen interactivity and flexible content sharing options (via USB, print or email). Brought to you by Epson, the world’s number 1 in projector technology. Your clients and partners deserve the best in projection – be it going through presentations, spreadsheets or animation, you can rely on an Epson. Impress your audience with vivid colours and unparalleled brightness. 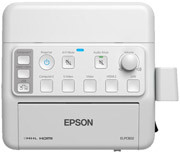 A new era in collaborative learning, Epson interactive projectors are the perfect ultra-short-throw projector for today’s BYOD classroom. With brilliant widescreen resolution, plus advanced network connectivity and wireless performance, these projectors make it easy to share larger-than-life lessons and control the projector remotely. Large Venue – Installation Projectors. The flexibility and features of Epson’s 4000 Series, G-Series and Z-Series projectors overcome virtually any installation challenge. Exceptionally brilliant video and images for large conference rooms and venues.